Discussion in 'The Doctor's Clinic' started by Moose, May 30, 2011. 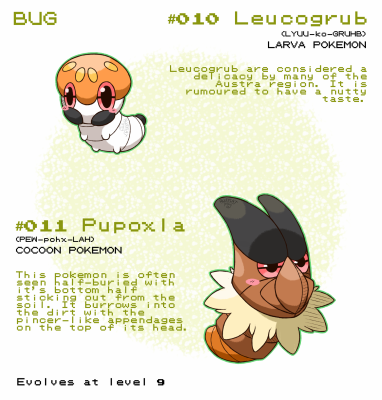 Okay so after experimenting with a lot of different Pokemon, I've came up with this set right now. 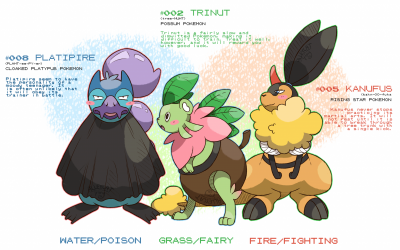 If it matters, all Pokemon will be female. For Excadrill, swap Naive with Jolly, as it will help it live a bit more with a return to a normal Sp.Def stat. I've seen a lot of Excadrill run X-scissor, so that's an option, as is Rock Slide/Stone Edge. Swords Dance boosts his Attack to monstrous levels, and he can easily tear entire teams apart with his doubled(in Sandstorm) Speed and +2 Attack. King's Rock can be swapped for Muscle Band(more power for your physical attacks, which is all that you'll be using), or even Air Balloon to stop opposing Excadrill from Earthquaking it to death. 252 EVs in Attack and Speed, all the way, with 4 in HP or something. I don't use Jellicent, so someone can tackle that. Psyshock is a nice move for Reuniclus, helping it beat down on Special Defense behemoths(who usually have subpar Defense). Grass Knot is nice, and you'll want Shadow Ball on there. I think it gets Charge Beam, which is nice to boost Sp.Attack(and Thunder has terrible accuracy in Sandstorm, so don't use it). 252 EVs in SpAttack and maybe HP/SpDefense. I'm not sure on those. Whimsicott seems fine as is, though I think Focus Sash can go for something else, though I'm not sure what. 252 in HP and Speed. Haxorus WANTS EQ, which can be abused with Mold Breaker. Hax is a bit frail, though, so you'll want to DD on the switch or on something that can't kill him in one turn. 252 in Attack and Speed. Jolly is also an option if you want more Speed. For the item...well, Reuniclus already has Life Orb, and with Item Clause...I think I'll leave this to someone else as well. - Your Ttar wants Lefties. He's a bulky guy, and he'll want to regain some of his HP. Ttar has a few different sets that work for him, but I can give you advice based on the set that I used (and which worked out quite well). Pursuit over Crunch, you can catch Chandelures and Reunicluses trying to escape, which can be really useful. Stone Edge over Rock Slide as a STAB move, Stone Edge packs more punch. Stealth Rocks. Stealth Rocks are considered by many the best move in the game, and your team lacks them, which could prove fatal. Since Ttar is your lead anyway, give him Stealth Rocks. Dragon Tail can be good for messing stuff up with SR, and you can predict switches and Dragon Tail them into something completely different (or Pursuit, whichever works better). 252 HP, 252 Atk and 4 Def. - I've never used Excadrill, but I'd suggest at least EQ, X-Scissor and Rock Slide/Stone Edge. Maybe Brick Break for the final move, I'm not sure. Also I think Excadrills usually have Life Orb, but I haven't played much OU recently, so I'm not sure. - Scald over Surf. Jellicent is a wall, and getting a burn on something (preferably a physical attacker switched in to take out this specially defensive ghost) helps it wall. It'd be good if you could fit in Toxic somewhere as well. I think Water Absorb is a better ability than Cursed Body in general, but you could try it out if you like. The EV spread may seem a bit odd, but it all comes down to the Calm Minding. You don't need EV's in S.Atk/S.Def, cos you'll be boosting those anyway. The biggest decision you'll have to make is Shadow Ball/Focus Blast. Shadow Ball hits other Psychics, but Focus Blast hits Dark types. I ran Focus Blast on mine. You want Relaxed so you'll get outsped by any Conkeldurr, so it's Payback will have only 50 Power. Item Clause...I think I'll leave this to someone else as well. There is no Item Clause. I got rid of it. Also good to see other people on the ball. Having to rate teams alone is a bit taxing at times. - Tyranitar, as stated, needs Stealth Rock if he's leading. Stone Edge and Crunch/Pursuit are your dual-STAB options, and as Weeds said Dragon Tail is quite a handy move to have on this guy. Chople Berry or Leftovers will do. - Jolly, Air Balloon, X-Scissor over Brick Break and Swords Dance in the last slot. All this for one reason: Ditto. Impostor Ditto will stop your sweep dead in its tracks if you carry Brick Break or use any item other than Air Balloon. - It's hard to say which Jellicent is better after seeing how well Cursed Body shuts certain opponents down, but Water Absorb has always been and still is a great ability itself. Scald + Hex is an interesting combination for it, as is Toxic + Hex if you're so inclined, although Ice Beam works too for extra offensive coverage. - I'd recommend the stallbreaker Reuniclus for you here, since most of your team focuses on offense. Basically, that's the set Weeds has suggested, although I can't see full Defense + Relaxed nature being necessary when you're dealing with opponents that hit like wimps. Focus Blast is better than Shadow Ball here since almost all (good) stalling opponents have a Tyranitar somewhere on their team. - Leech Seed, Substitute, Encore, Taunt, Leftovers, Jolly. That's Whimsicott done. - First of all, Jolly nature. Secondly, why Haxorus? With Tyranitar and Excadrill already here, it might as well be Garchomp filling this space of the team instead so he can abuse Sand Veil with your Sand Stream. This is already leaning heavily into sandstorm team territory here anyway, so you might as well go all the way and wrap the team up with a dragon better suited for yourself. For Haxorus though, final slot is Earthquake and I personally recommend Lum Berry as the item, so you can switch in on status moves for free, Taunt the user and then set up in their face. Double points if you've Encored them into a status move beforehand with Whimsicott. One thing I will tell you to look out for is Skarmory. The metal bird can put a very sudden halt to your offense here, and you will need Reuniclus and Whimsicott on-hand to deal with him should he appear. Excadrill can also run Rapid Spin potentially, but that probably won't be necessary since your team suffers very little harm from Stealth Rock as it is. Garchomp cannot be caught in Unova at all without the use of a DS transfer, so I'm restricted to Pokemon only caught in Unova. Thanks for the suggestions, I think I got a set down but I'm now certain I should remove Haxorus and replace him with another Pokemon that could benefit from the sandstorm. However I don't know what to replace him with, any suggestion? I think I also have a large type weakness to ice too, though I've yet to use the team so maybe I'm just doubting Jellicent's defense and Reuniclus's special attack. I was even considering replacing Reuniclus with Chandelure because of a better type coverage and immunity to fighting, but then I would have two ghost types running. I can breed you a Gible and trade it you if necessary, if you have Wi-Fi of course. Chandelure would certainly make Skarmory less of an issue especially if you managed to get a Shadow Tag Chandelure from the Dream World, although your team would lose some of its bulk in the process. It's up to you really, and it's not like having two Ghost-types is any different typing-wise than having a Ghost and a Psychic-type since both types share weakness to Ghost and Dark. Okay KoL, that would be great. Though I only have access to DS wifi on Saturdays and Sundays, so it would need to be a scheduled trade if that's alright.